Our path of economic development has generated a growing list of environmental problems including the disposal of nuclear waste, exhaustion of natural resources, loss of biodiversity, climate change, and polluted land, air, and water. All these environmental problems raise the crucial challenge of determining what we should and should not do for future generations. It is also central to other policy debates, including, for example, the appropriate level of public debt, investment in public infrastructure, investment in education, and the level of funding for pension benefits and for research and development. Today, the judge, the citizen, the politician, and the entrepreneur are concerned with the sustainability of our development. The objective of Pricing the Planets Future is to provide a simple framework to organize the debate on what we should do for the future. A key element of analysis by economists is the discount rate--the minimum rate of return required from an investment project to make it desirable to implement. Christian Gollier outlines the basic theory of the discount rate and the various arguments that favor using a smaller discount rate for more distant cash flows. 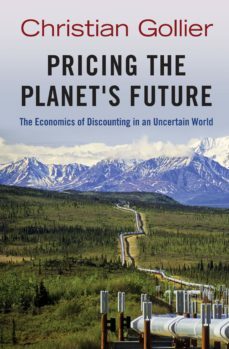 With principles that can be applied to many policy areas, Pricing the Planets Future offers an ideal framework for dynamic problems and decision making.